C# and Java are syntactically almost same. In general, Java has many implementations such as EJB, private static class implementations, etc. But in C#, we can get elegant and friendly native constructs such as properties and events. Instead of casting, C# has real generics and we can perform reflection on them. By the use of using statement, resource management can be done. It is deeply integrated with windows operating system. It allows for generic covariance and contra-variance explicitly. If needed, it supports dynamic variables. It allows for the programmers to define a value of non-reference type. If we need to access a field by this pointer, and bind the method that does it to a generic function pointer in C++. But in C#, the programmers get them for free. He does not even have to know how it works. Instead of using templates, C# uses generic parameters. Generic parameter type-checking, contra-variance and co-variance are much stronger and elegant tools. Templates have nice features but generics are more practical. 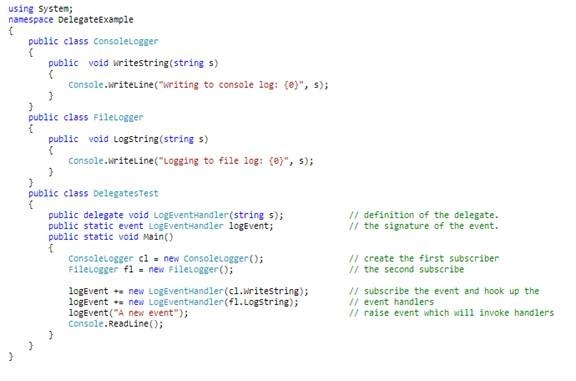 C# allows the programmers to treat class-methods’ signatures as free functions. Hence they can create more dynamic and flexible relationships between classes. C# delegates carry this pointer. C# has a massive standard library with many components of well-implemented and easy to use. It allows for both managed and native code blocks. Classes, methods and fields can be accessed from anywhere within the DLL are declared in. But they are not accessible from other assemblies. Another significant feature in C# is the “struct”. It is a type of object which can be stored on the stack. The garbage collector in C# is optimized for general usage. C# is analogous to C++ but has automatic memory management. In the case of intensive database applications, C++ is not suited. C# makes the programmers more productive.